The National Trust has been criticised for planning to cull wild boar at its Stourhead estate in Wiltshire. It said it had taken the “difficult decision” to remove the animals from its land following reports that members of the public were feeling intimidated by the prospect of coming face-to-face with a wild boar. 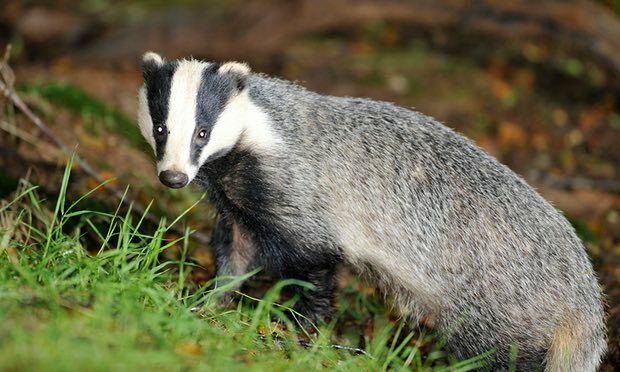 The charity added it felt it needed to sanction a cull to protect its staff. 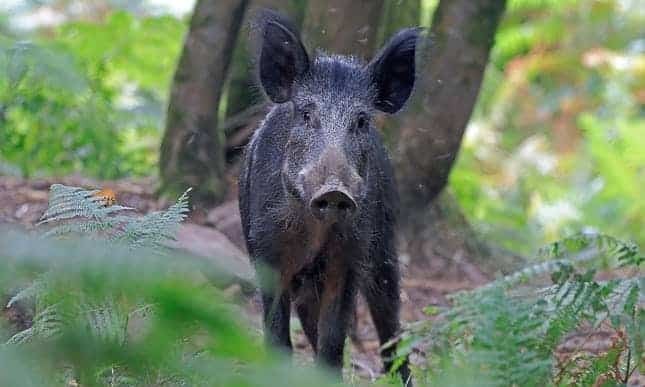 The trust said: “Following recent reports of an unlicensed reintroduction of wild boar on land adjacent to the Stourhead estate and several reports of members of the public being confronted and intimidated, we have taken the difficult decision to remove the animals from the estate. “We only made this decision after considering the alternatives and after consulting with Natural England. Unfortunately, there are some instances where humane control is necessary – for instance where there are safety concerns for our visitors, staff or volunteers; or to protect other species or habitats. We never take this decision lightly. The 2,650-acre estate is known for its lake, which reflects classical temples, grottoes and rare and exotic trees. It has attracted visitors in the autumn when the colour of the trees can be particularly striking. Matt Mellen, an environmental campaigner from Frome in Somerset, said: “I think its inappropriate for the National Trust to be hiring marksmen. I think a lot of National Trust members wouldn’t want their membership fee spent on that. There must be more humane ways to keep them off the Stourhead lawns – such as electric fences. This article was first published by The Guardian on 19 Nov 2018. We invite you to share your opinion whether the National Trust should be allowed to slaughter wild boar on its estates? Please vote and leave your comments at the bottom of this page. 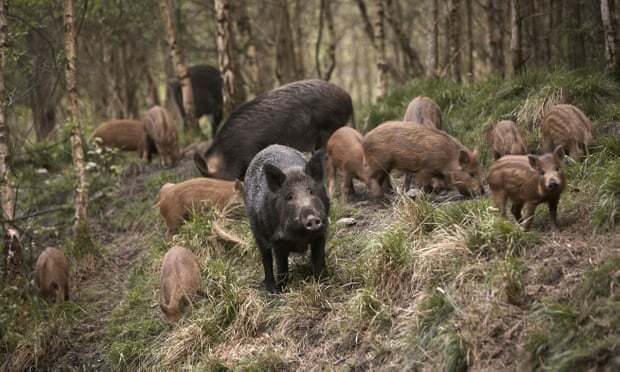 Should the National Trust be allowed to slaughter wild boar on its estates? 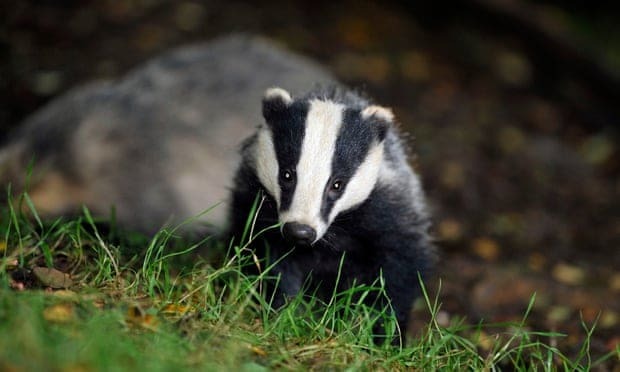 Yes ..have you seen the damage caused to the ground caused by these “bulldozers” destroying places where wild flowers/orchids grow and then there is the public safety aspect, these animals will chase and bite people if approached when they have young. Seems to me it would be much simpler to establish predators to keep the boars “managed”. Quite frankly – establishing a prey species (even tho it was an unlicensed reintroduction) without predators to keep them in check – not a good idea. Of course, the next objection will be from any farmers or residents in the area who will not want an increased number of predators. No one wants to have to take steps to protect their domestic animals from predators – easier to cull the boars! They might have to manage the numbers, swine being reknowned all over the world for their breeding prowess. What they shouldn’t do is open the doors to a bunch of over-privileged parasites intent on slaking their blood-lust in the name of ‘sport’ or ‘tradition’. But then, the NT is just a safety net for old money anyway. I agree. Certainly no “canned hunting” or reintroduced “pig sticking”. Darting with tranquillisers followed by lethal injections would be the least painless way – in my opinion based on ignorance and sentiment. The phrase ‘pig-sticking’ had occurred to me too. I’m sure they will come up with sound economic grounds for simply snipering the poor critters. There’s only one species all over the world with incredibly destructive breeding prowess & it’s not wild boars. It may be unpalatable, but the reality is that in Britain we now have so many people that there isn’t room for wild boar. Just look at the stories from their neighbours about the destruction their digging causes. Roy Ravioli Buxton Cats? It’s a question of scale. But who’s going to ‘disallow’ any entity from killing any animal species on their property they choose to kill? There’s no room for wildlife anymore, humans are everywhere. Some people like seeing wildlife, some don’t & the ones that don’t, seem to always have the last word.